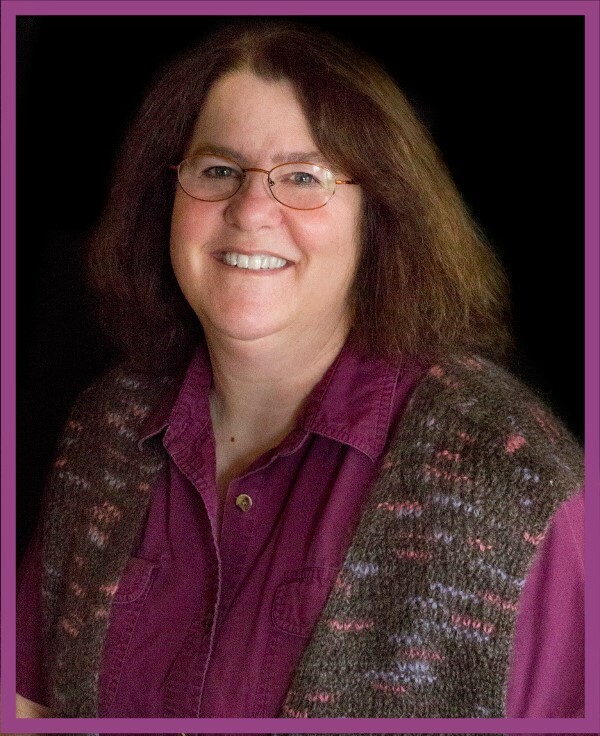 Pegg Thomas is standing in our author spotlight this week. Welcome to our circle, Pegg! 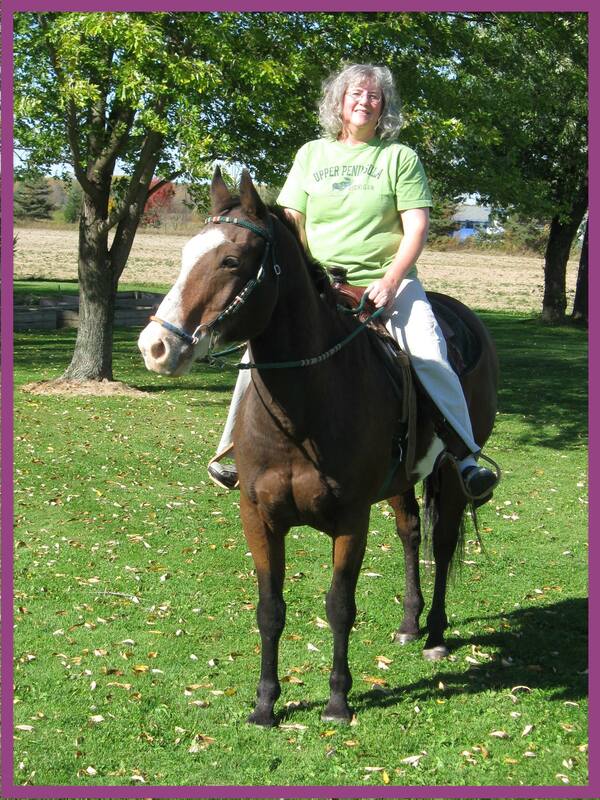 Romance writer Pegg hails from Michigan’s Lower Peninsula and loves horses. 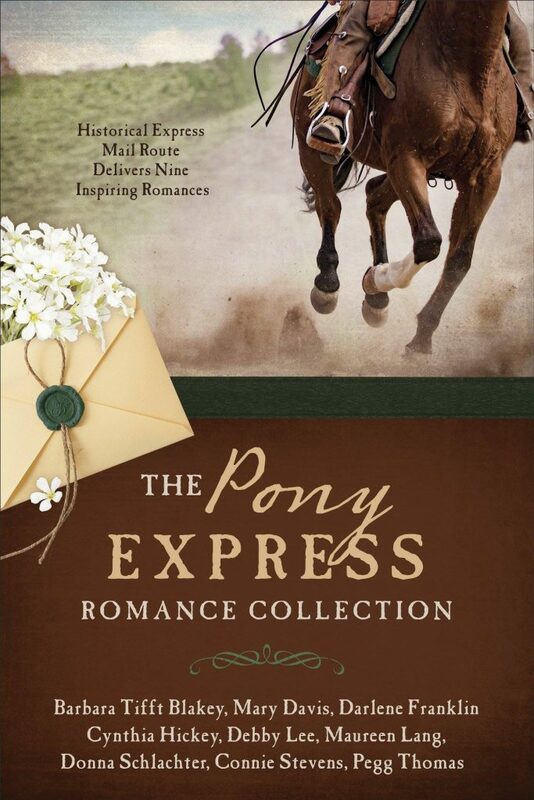 Matter of fact, she’s giving away one paperback copy of The Pony Express Romance Collection to one reader who joins our conversation below. Just mention something about horses–one you have owned, what you like about them, or maybe some experience involving a horse–and you’re entered. Now, here’s Pegg . . .
My name is Pegg Thomas. Yes, that’s with two ‘g’s. My brother is Greg, although our mom originally spelled it Gregg. I guess she had a thing for names ending with double consonants. I live on a hobby farm in the northeastern part of Michigan’s Lower Peninsula. We love everything about the Great Lakes, and one of our favorite pastimes is watching the giant freighters float by. My husband and I raise sheep and chickens, garden, and keep a small orchard of trees and berry bushes. I’m also a hand spinner and love to create beautiful garments from our sheep’s wool. What’s Up With Pegg Thomas at Present? Besides my own writing, I’m the managing editor for Smitten Historical Romance, an imprint of Lighthouse Publishing of the Carolinas. I guess you could say that I keep busy. Speaking of busy, I have a new book coming out in November. While I’ve been published in three previous Barbour historical romance collections, this one is near and dear to my heart because it was a project that I organized and presented to Barbour for publication. I was thrilled when they contracted it! 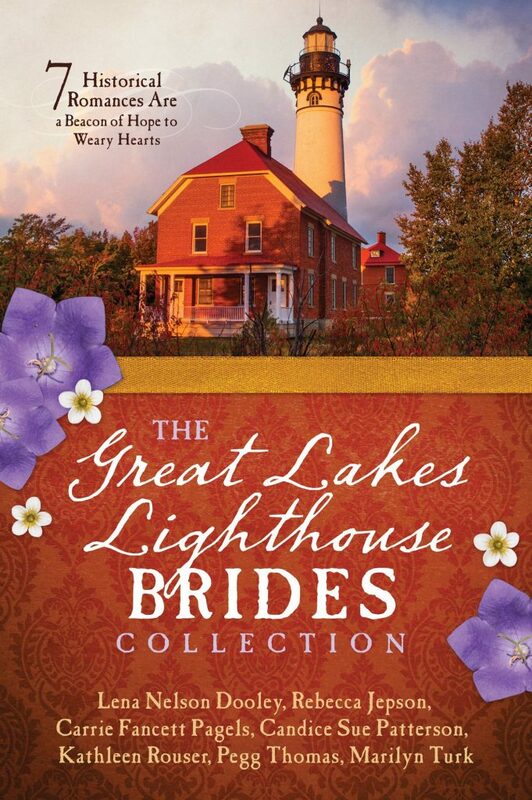 The title is The Great Lakes Lighthouse Brides Collection. Yes. It does fit with my passions in life. 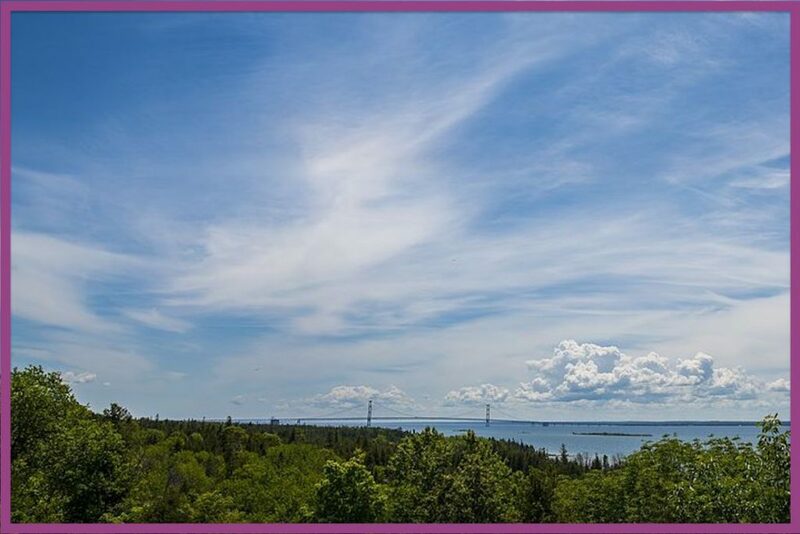 My story in the collection is “Anna’s Tower” and takes place almost in my backyard, on Thunder Bay Island. There was a fairly well-known shipwreck that happened right off the island on a foggy fall night in 1883. I decided that my hero would be a stowaway aboard the James Davidson. Once I knew that much, I needed to figure out who would want to stowaway from Buffalo, New York, to Duluth, Minnesota, in 1883. A little research led me to Russian immigrants who were fleeing the pograms, the Russians’ attempt to exterminate the Jewish race. Great! Except for one little thing … I knew less than nothing about Russians of that time period. I dove into my research at about the same time all the Russian collusion stories started clogging up the news feed. I’m pretty sure I’m on some government watch list by now, but that’s a risk we authors have to take for our craft, eh? While The Great Lakes Lighthouse Brides Collection doesn’t come out until next month, I’d love to give one paperback copy of The Pony Express Romance Collection to one of your readers who lives in the continental U.S.
As you can imagine from the title, this collection has a LOT of horses in it. I lost my old horse, Trooper, about a year ago. He was twenty-five years old. I still miss him and will always love horses. To enter the drawing, tell me about a horse you have/had or what you like about horses. P.S. The winner of the drawing for Pegg’s giveaway is Sarah Taylor! Congratulations, Sarah! Lord, we readers and writers come into Your presence grateful for the gift of language, whether written or spoken or symbolized in other ways. The words we read and write will someday pass away. But You, the Eternal Word, will last forever. We pray You will use the words we read, speak, and write to reveal a bit more about Yourself. Draw us ever closer to You through Your Word. And please bless each word Pegg writes for You. Always loved horses. My daughter currently cleans stalls so she can ride and at local barn. The are a special animal! Love horses they are beautiful have never owned any though Thank you for the chance to win the book! I think Horses are beautiful animals never owned any but I know my grandchildren love reading about horses I even purchased a horse blanket for my grandson for his birthday one year and he sleeps with it every night. My sister-in-law had a beautiful paint horse and she was beautiful Thank you Pegg for this awesome giveaway and Thank you Linda also! Welcome to our circle, Sarah. You’re entered in the drawing! I hope you’ll come back to visit. Thank you so much Linda And Pegg and Thank you so much for the giveaway I love to read paperback books so excited I won and Linda I will be back to visit! My Grandpa had a gentle horse that all us kids loved to ride. His name was Slippers and he was all most pure white. He never got rowdy until Grandpa had to brand him so he could sell him. Welcome, Vivian. My grandmother sent her sons to school on a horse. I can’t imagine setting a 6 yr old on a horse and sending him miles through the countryside to school—-alone. Two years later, she added a second son, and then a third. I guess she saddled a second horse for her younger two. I have ridden a horse very slowly once! I think they are majestic, beautiful animals. I enjoy movies about horses, like War Horse and National Velvet. I’m with you there, Paula. I’ve always admired the majestic horse. When we began having Weekly Reader available to us in 4th grade, I often ordered stories about horses. My father was a farmer who didn’t need horses for the fields (That was his father’s generation.) So having a horse was a luxury—one we couldn’t afford. So I longed for a horse (of course) … until the day a neighbor came to call on a “pony” who was the most stubborn, ill tempered creature under the heavens. I never shall forget the utter horror I felt when he bolted from our property down the country road with me pulling on his reins so hard I was actually lying on my back! That basically cured my desire to own a horse, but it did nothing to diminish my admiration of their beauty. I love grays! I started with a Shetland pony as well, her name was Honey. Had a lot of good times growing up with her. Hey, Pegg! I so enjoyed your guest post. 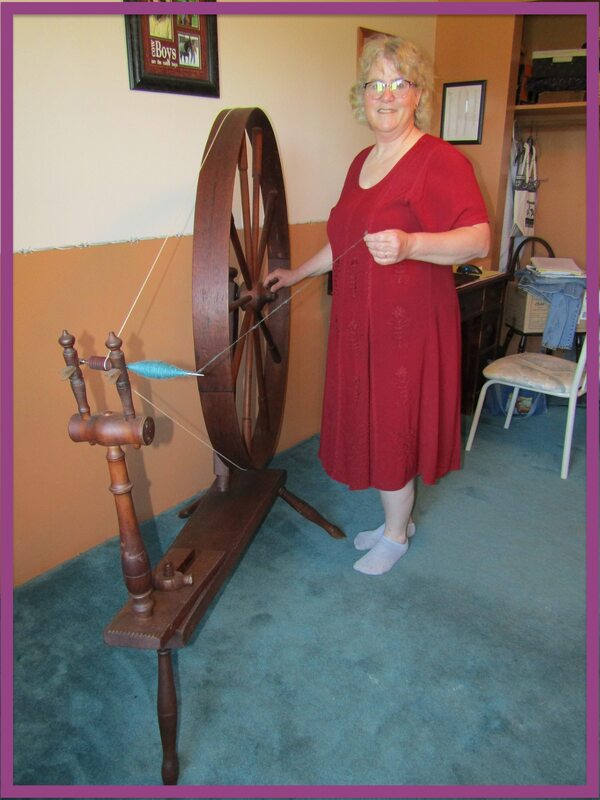 I’m SO impressed that you spin your wool and make garments! WOW! I’ve always loved horses. As a girl, I guess you could say I was obsessed 🙂 My first real horse was a Shetland pony, Twinkle Toes, a beautiful silver-dappled gray. He rode home on my lap in the back of Daddy’s car at 6 mo old 🙂 We were best friends. Thank you! Pegg is an incredibly talented woman. It’s amazing that she spins her own yarn, that really is a lot of work. Plus incredible writing. I’ve just begun reading Anna’s Tower and loving it.